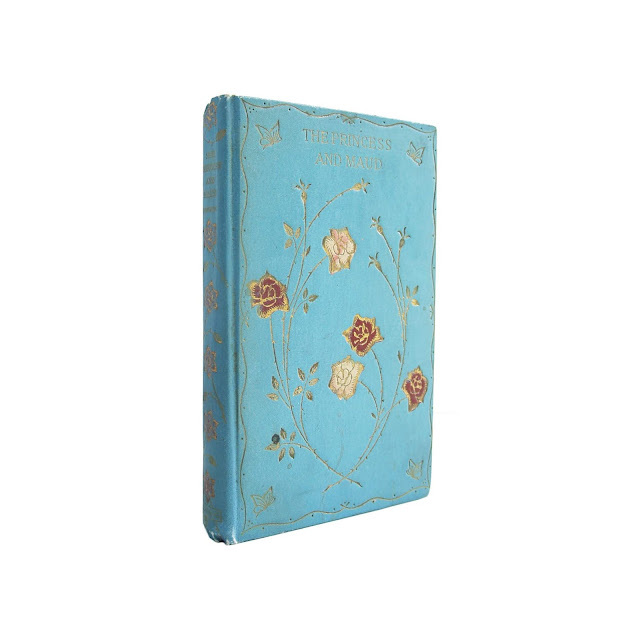 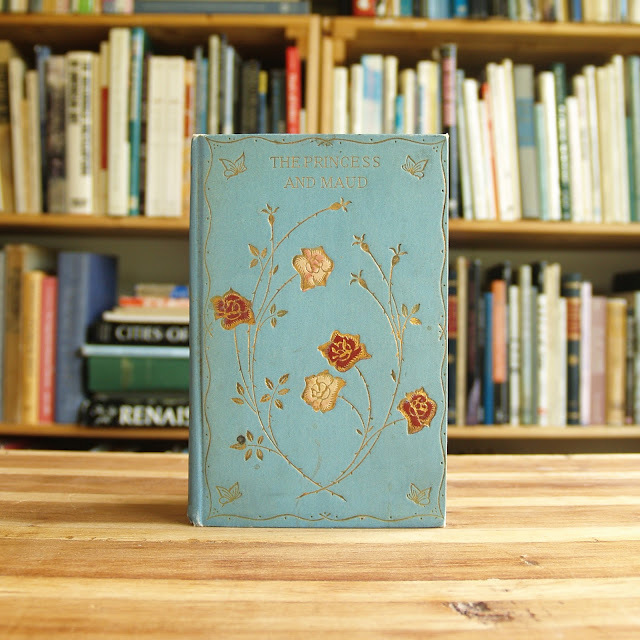 Lovely decorative edition of Tennyson's classic. 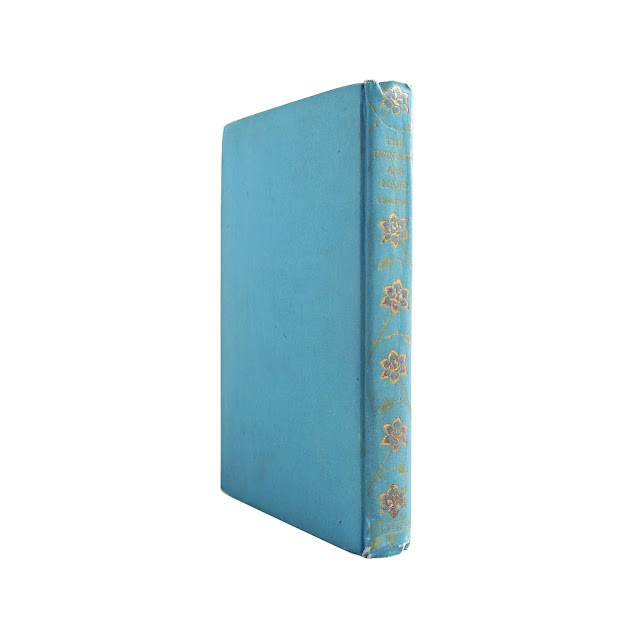 Bound in blue cloth boards with red and pink floral design on front cover and spine. 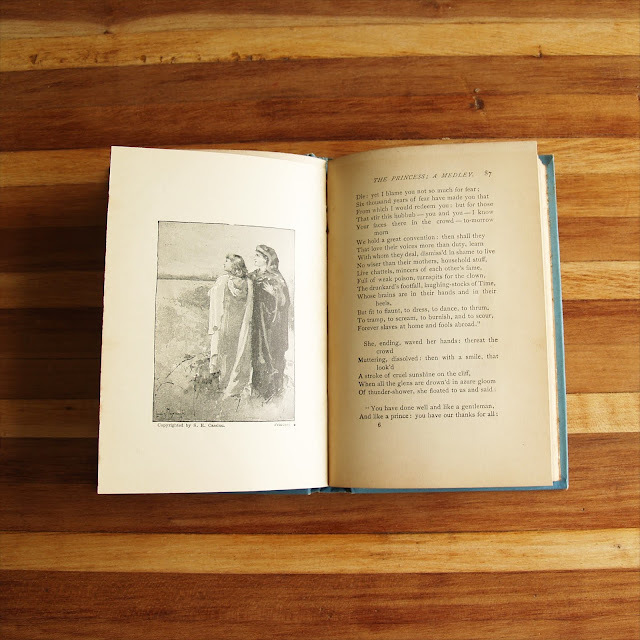 Pages a bit browned, some foxing, Slight fading to covers, a bit of soil. 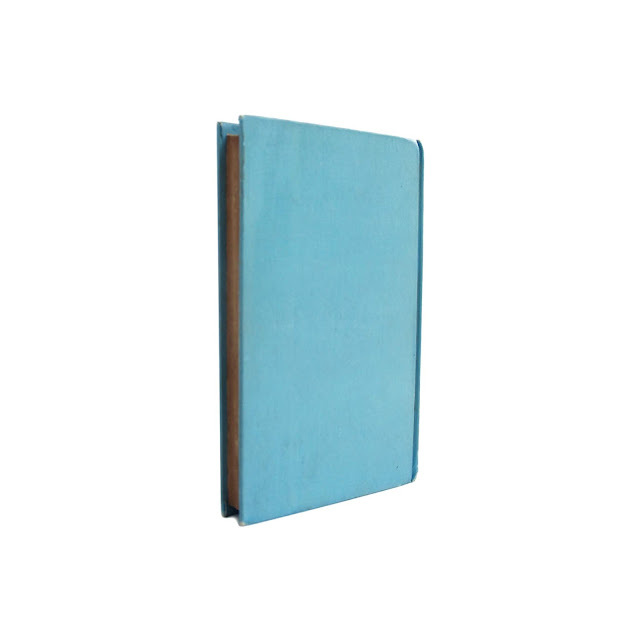 Tight binding.